Creationists like Tony Robbins have repeatedly told a massive lie, technically a straw man argument, to describe evolution. His caricature that evolution is like a 747 spontaneously appearing after a tornado ripped through a junk yard is of course preposterous. On the other hand the Creationist view of intelligent design is equally preposterous. The truth is in between. It turns out evolution often does have an intelligent designer, or at least a designer. Evolutionists usually don’t like to concede this, thinking it will only encourage the Creationist crazies. 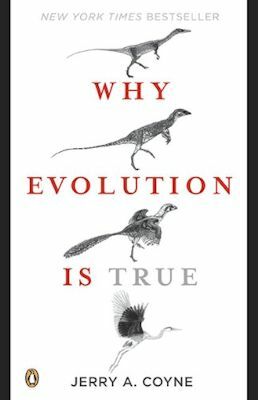 Why are Christians so Resistant to Evolution? Creationists have lied to Christians repeatedly about what evolution asserts. They imagine that species just appeared out of nothing by some random constellation of molecules. (Oddly molecules don’t horrify them even though the bible says nothing about them.). Clergy have threatened them with eternal after death punishment if they did not at least publicly pretend to reject evolution. Animals and plants are so well adapted to their environments they look designed. The only designer they can imagine is a man with a white beard who sits on cloud. However, there are other possible designers. The term natural selection is too abstract for someone who has no scientific or mathematical training to get their head around. 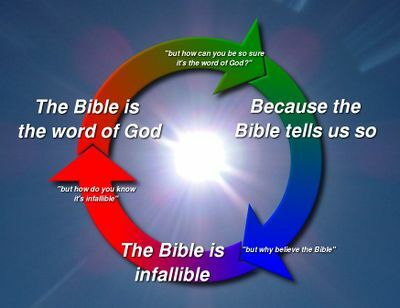 What can I say to the Christians that is not difficult to swallow, but that is still true? Let us look at the various kinds of intelligent design. I will start with the familiar selective breeding of domestic animals and gradually work my way around to more and more impersonal types of design I hope to show that there are many ways plants and animals can be designed (or at least look designed) that don’t require a deity. According to this view, an invisible man in a white beard, preoccupied with spying on people masturbating and tormenting them eternally, created the entire universe and continues to micromanage it to this day, taking requests called prayers to override physical laws. The only evidence for this view is a book written in the iron age that lays claim to have been written by a deity. There is no evidence to support this claim, other than people’s gut certainty it must be so. The book contains nothing more advanced than iron age science, which is rarely correct. Further, it contains thousands of errors and inconsistencies, hardly the quality of work expected of the creator of the universe. Surely he would know more about his creation. However, this is the currently most popular view in the USA. Since there is no evidence to corroborate this extraordinary claim, I find it about as credible as the assertion that the Great Pumpkin created the universe. Obviously, others differ. Sheep give wool. Ancient shepherds would naturally take extra care of the lambs from a particularly wooly mother, or save those lambs for breeding rather than roasting. Shepherds did this quite consciously, to design a better sheep. This rates as intelligent design, but it normally called artificial selection. Laymen fail to notice it is just a type of accelerated evolution. It works by exactly the same mechanisms. We know man can and does shape other species. Just go to a farm and notice how different the animals are from their wild counterparts. They have shorter horns, give more milk, give more wool, give more meat and are more docile. Most breeds of dogs were developed in the last 200 years. We have paintings and photographs of the process. If that much change can happen in a mere 200 years of heavy pressure, think what could happen in hundreds of millions of years. Compare the wild guppy or beta with the pet store varieties. They are spectacularly different. The wild apple is so sour it can’t be eaten. Plant breeders have made even more spectacular improvements to plants than have been made with animals. With GMOs (Genetically Modified Organisms), this intelligent design is taking off on whole new level. Again, consider the sheep. Shepherds thousands of years ago would round up the sheep each night and stand guard over them. The sheep that ran away usually got eaten by wolves, leaving the docile sheep to found the next generation. Even though the shepherds might not have consciously tried to modify the sheep, their actions had an effect, shaping the behaviour of sheep. The result was felicitous, but inadvertent. Consider mankind misusing antibiotics. Overuse helps the bacteria develop an immunity to all antibiotics. There are such huge numbers of bacteria, that a few of them will have a mutation that gives them immunity to a given anti-biotic. In the presence of antibiotics, they take over and replace the usual strain. In this case man has stupidly, not intelligently, designed another organism, to be more harmful. He does the same thing with bioweapons, but deliberately. Consider the seal in the Atlantic ocean. It chases cod to eat. The healthy fish can swim fast. The sick and deformed fish cannot. So the seal mostly eats diseased and deformed fish. 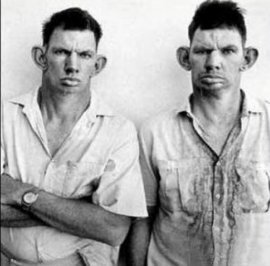 This tends to take the genes for susceptibility to disease and various deformities out of the gene pool. This helps the seal since it ensures future healthy vigorous stocks of fish, rather than weak ones easily wiped out in some plague. This is intelligent design in the sense it is the optimal strategy. However, it is not likely the seal has reasoned this out. Darwin was baffled why some birds develop plummage in such riotous colours. Surely the peacock’s tail would make it more susceptible to predators. Male birds are incredible show offs. Darwin noticed that birds with the most athletic displays, the most artistic bowers and the most riotous colours got the girls. So female birds design the future generations of male birds with their choices of mates. Darwin called this sexual selection. Sexual selection does not yet explain why some female birds like yellow and others blue. We have the same thing in humans. Boys who look like one of the currently popular movie stars mate more frequently. However, these ideals change so rapidly the effects cancel out. Consider a round of robins cocking their heads and listening for worms under the soil. The robins will tend to eat the noisiest worms. Over time the quietest worms will be left under the soil and will produce the next generation. So in a sense, the robins are like worm farmers, inadvertently breeding quieter and quieter worms with their winnowings. This is not what I would call intelligent design, since it makes the worms harder to catch, but it is design in the sense the activities of the robins shape the genetics of the next generation of worms. When I was 6, my father took be on a boat trip around the Gulf Islands of British Columbia. The thing that impressed me the most were intricate sandstone honeycomb sculptures. It turns out man did not carve them, neither did any animal. It was simply the action of the waves. Just because something is intricate does not necessarily imply some intelligent designer. Ditto for snowflakes and gypsum crystals. Even the weather can design animals. Consider that in some parts of the world the rivers dry up half the year, yet when the rains return, the rivers are filled with fish. How does this happen? Fish bury in the mud or bury their eggs in the mud. What would happen in a really nasty drought year? Perhaps half the eggs would die. But the ones that survived would be the ones with extra ability to survive drought. That means that next year nearly all the eggs would be able to handle a major drought. The weather shaped the creatures, but it certainly had no intention to. It was not in the least random. The eggs that survived were the ones with drought resistance. Consider the way a NHL (National Hockey League) team is picked. Out of thousands and thousands of boys, just a few are picked for the team. The boys are just a random selection of boys. There is nothing special about them. Some are usually good at hockey, some unusually bad; they each have their strengths and weaknesses. How many really good players you get and what their skills are each year is purely random. However, the scouts for the NHL teams are extremely picky. Nature works much the same way, except anyone who does not make the team dies without reproducing. Miller is a Catholic and a cell biologist. 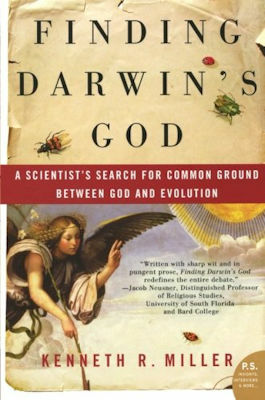 He was the lead witness in the Dover trial that determined Intelligent Design was not science. Nothing I heard him say betrayed religious belief. I just identifies as coming from a Catholic culture. Explains the evidence for evolution for the layperson. We now have DNA analysis to track the history over millions of years of how species evolved. This book explains this new tool. 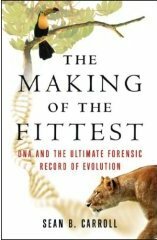 If somebody wants to debunk evolution, they should at least know what it is and why today’s scientists have such strong confidence in it. 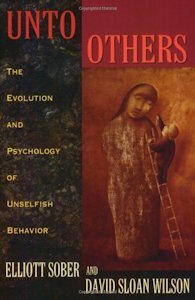 Many people asssume that any altruistic behaviour must have appeared despite evolution. The books shows how it can evolove by natural selection. It is a better way of life.